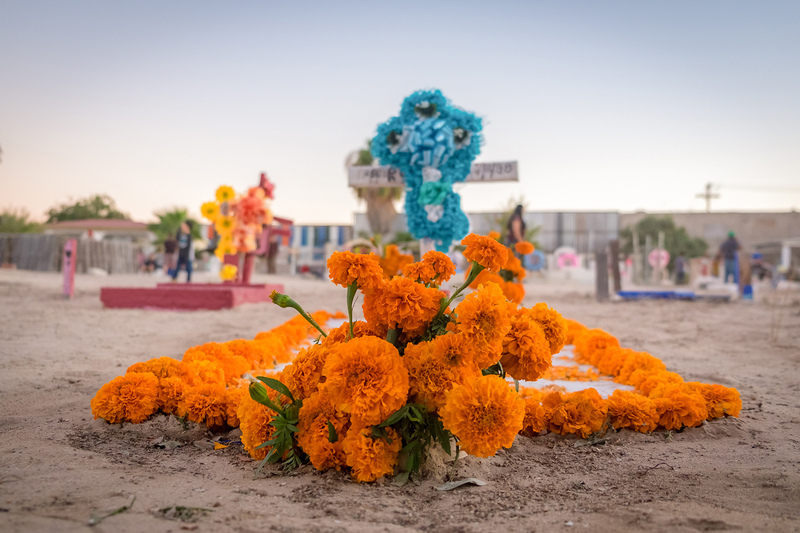 Day of the Dead is a Mexican tradition that honors the dead. This celebration has its origins in the pre-Hispanic era. However, thanks to the Spanish conquest elements of Catholicism are incorporated and celebrated mainly on November 1 and 2. Coinciding with the Catholic celebrations of All Saints’ Day. Which is when the souls of the children arrive.On November 2, the Day of the Dead, is when the adults arrive. The atmosphere at the end of October and the beginning of November takes on a solemn and festive air. The aromas of cempasúchil, incense, copal and candle wax; to fruits, stews, sweet calaveritas, chocolate and bread of the dead. The pantheons are visited and decorated. There is decorative paper and catrinas everywhere. In addition, more people join in on the assembly of the altars. 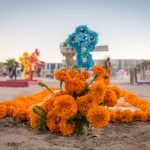 Puerto Peñasco, official events will begin on November 2. On November 2, the altar contest along Rodeo Rd. On November 3 at 5 p.m will begin the procession of “Ofrendas en el Mar”, (Offerings in the sea). This is where people make altars for the dead on small fishing boats known as “pangas”. The tour will begin at the Old Port, which ends at the docks. A mass will proceed and then the boats will enter the sea. At 8:30 p.m., on Rodeo Rd., Will be the procession and contest of Catrinas. However, many begin the celebrations much earlier, such as on October 26. Some schools will perform “Altares” contest. That same evening, will be Catrinas Night at La Cantina Sports Bar in the Sonoran Sky. Although Day of the Dead is a celebration of Mexican tradition there will be Halloween themes incorporated with our festivities. You will just need to visit the stores to realize this. So do not forget to buy candy! They’ll knock on your door asking for “calaverita”, or to give them a choice between sweet or mischief. For this reason we recommend you to be attentive, and follow social networks of your favorite places. The reason being of people participating in costume parties and catrinas throughout the Port. PrevPreviousGet ready for the 18th Annual Rocky Point Rally!